For a device that was at the forefront of the home streaming revolution, Apple TV has always been a bit behind the times. The first generation required a computer to stream content. Third-party app support didn’t arrive until the fourth generation. And it’s only the most recent model that embraces the most popular video standards. 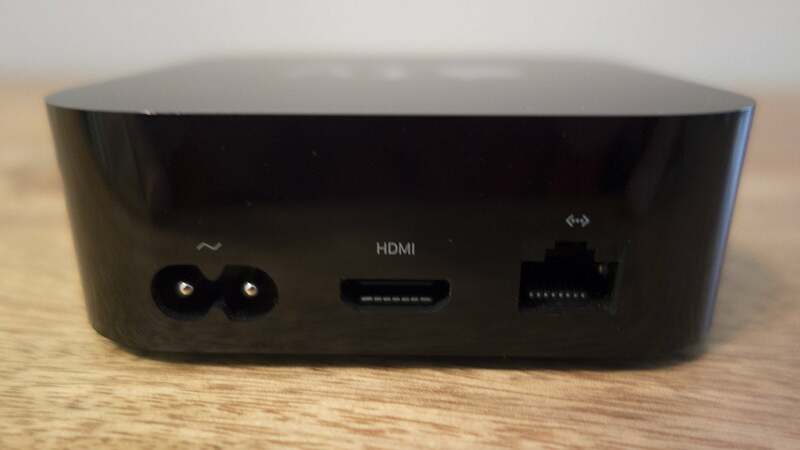 It would be easy to dismiss Apple TV 4K as a me-too release. Had Apple TV 4K launched in 2015, HDR10 and Dolby Vision would have been pioneering features, but in 2017 they’re practically obligatory. Apple had no choice but to add 4K support just to ensure Apple TV isn’t completely overlooked by videophiles. It’s late to the party, but it just so happens that Apple TV 4K doesn’t feel like an afterthought. It might not bring anything to the table that you don’t get with the far-less-expensive Chromecast Ultra, Roku Streaming Stick Plus, or Fire TV with 4K Ultra HD, but Apple’s elegant simplicity, ease of use, and iTunes advantage are all on full display here. If you have a 4K television, this is the model you’ve been waiting for. 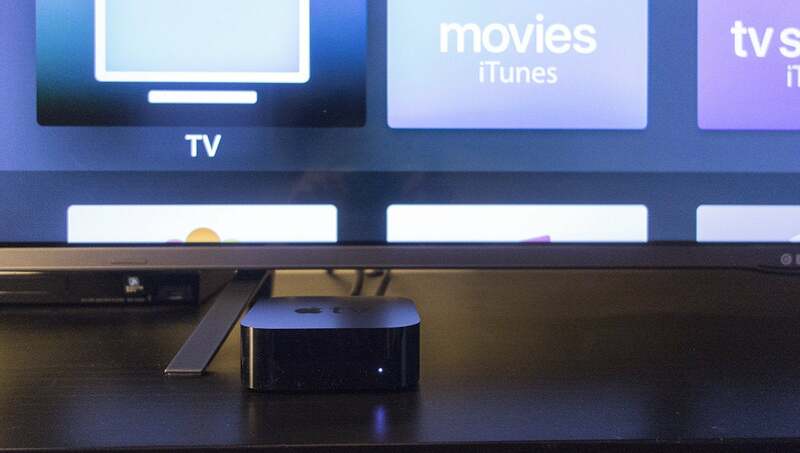 Other than the ability to play 2160p content, there’s not a whole lot that’s different about the new Apple TV. It’s dressed in black with the exact same cubic dimensions as the fourth-generation model. The only changes to speak of are a gigabit ethernet port (another overdue addition) and the removal of the USB diagnostic port. Apple TV 4K adds a gigabit ethernet port but removes the USB-C diagnostic port (which was great for taking screenshots). A 10/100/1000 port is great for those who have a weak wireless connection but still want lag-free 4K streams. However, I suspect most developers (and this reviewer) will lament the loss of the USB port, if for no other reason than it was an easy way to record the screen and take screenshots. Internally, the same 32GB and 64GB storage options remain but the processor has been upgraded to an A10x Fusion, the same silicon you’ll find in the iPad Pro. That’s three full generations ahead of the A8 chip in non-4K model—apps launch quicker, navigation is faster, and streams (even 4K ones) start nearly instantly. With the 4K content library ever expanding, the extra power will certainly help. Setup on Apple TV has always been one of its strongest suits, and the 4K model hasn’t changed that. 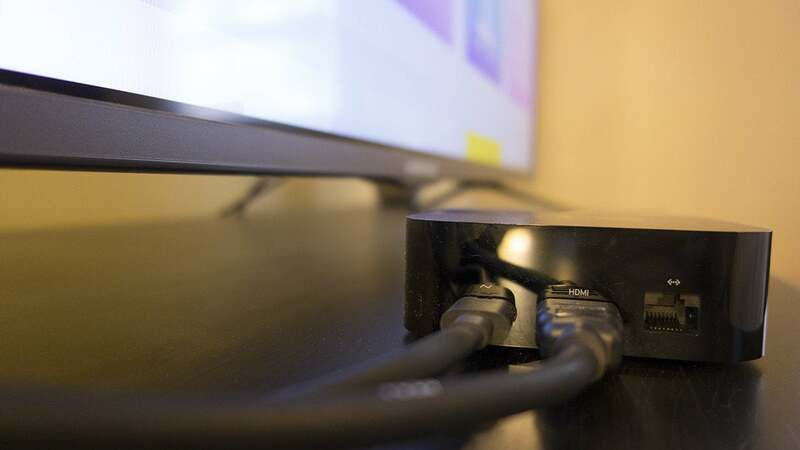 Hooking it up is as simple as plugging it in and attaching it to your 4K TV via an HDMI 2.0 cable. Apple still doesn’t supply an HDMI cable in the box, and its $179 price tag would be a lot easier to swallow if it did. Apple TV 4K requires just two cables to get up and running—but you'll have to bring one of them along. 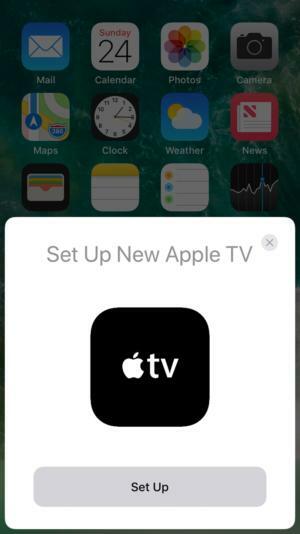 If you have an iPhone nearby, setting up your new Apple TV is a piece of cake. Apple has utilized the same one-tap setup method it introduced with AirPods, and it’s just as magical here. Instead of using the Siri Remote to tediously type your lengthy iCloud as and Wi-Fi passwords, your Apple TV will automatically pull over all that information from your iPhone. As long as your phone is within range, a message will pop up on your screen that will quickly walk you through the authentication process. After setup, however, the new Apple TV’s main input device is still the Siri remote, and if you hated it before, you’ll probably hate this one just as much. It’s nearly identical, save one difference—there’s a white plastic ring around the menu button. While it seems like a passive aggressive move to appease the critics, it actually does make it a little easier to use in the dark by feeling for the menu button. But otherwise, the remote has the same minimal six-button functionality. When you get to the home screen, the 4K difference is instantly noticeable. App icons are crisper and clearer than before, and the dark mode (which can now be set to change automatically) is particularly impressive. But all you’re going to want to do is find 4K content. 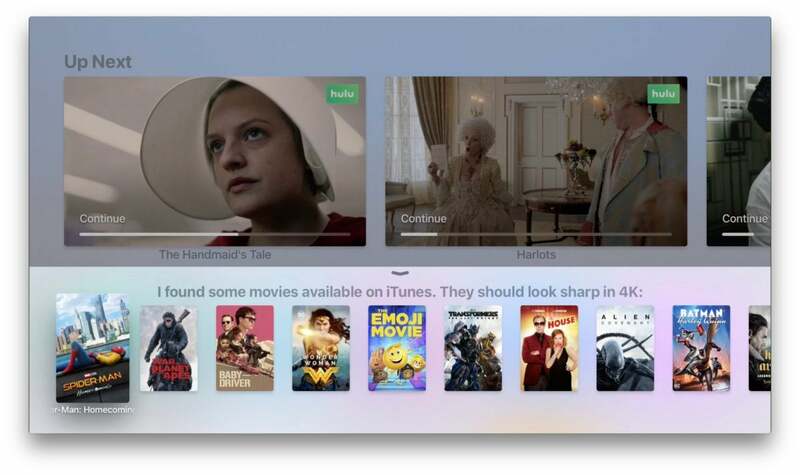 Apple has kindly updated your iTunes collection with any available 4K titles, an awesome perk if you’re someone who has a large digital movie collection. This includes any movies that were purchased through the iTunes Store or digital copies that came with Blu-ray discs, so if you haven’t been dutifully entering them, go dig them out. To check if a video is available in 4K, click on a title and look at the resolution icons next to the year of release. Unfortunately, the Movies apps won’t break down your iTunes library by resolution, so you’ll need to go title by title to find out which ones have been updated. You can ask Siri for help, but it’ll only retrieve a small list of newly released 4K movies, not necessarily ones that are in your library. To see if a title can be streamed in 4K, navigate to a movie, click on it, and look at the resolution box next to the year of release. Of note, Disney hasn’t agreed to the terms of Apple’s 4K updates, so any Pixar or Marvel flicks won’t get the 4K treatment. (Star Wars movies, too, but they aren’t available anywhere in 4K yet.) There are two notable Marvel exceptions, however: Deadpool and Spider-Man: Homecoming are distributed by Fox and Sony, so Disney doesn’t have control over them. The same applies to the newest Fantastic Four flick, but you’re less likely to want to watch that. Apple TV includes 32GB or 64GB of storage, but you can't use any of it to download 4K movies. While Apple TV certainly enough internal storage for several 4K movies, you can only stream 4K movies, not download them, so the strength of your connection will be a factor, as will any bandwidth caps imposed by your broadband provider. Elsewhere, 4K content is pretty limited. You can find some titles in the Netflix app, but the Movies Anywhere and Hulu apps only play in 1080p, and the Amazon Video player is still MIA. And Apple TV 4K also doesn’t support YouTube’s 4K content. However, most of the iTunes titles I tested were quite impressive. My television supports 4K but not HDR10 or Dolby Vision, but video quality is still way sharper than on my 1080p set. Newer movies such as John Wick 2 or The Lego Batman Movie were simply stellar, with deep blacks and minimal motion blur, but older flicks weren’t as good. My copy of Goodfellas looked much better in 1080p, and the 4K benefits on Blade Runner: The Final Cut were hit and miss. Your Apple TV 4K will automatically detect your TV’s output capabilities as before, but you can change them by heading to the Audio and Video option inside the Settings app. From there, you’ll see a TV Resolution menu that will let you switch back to 1080p. 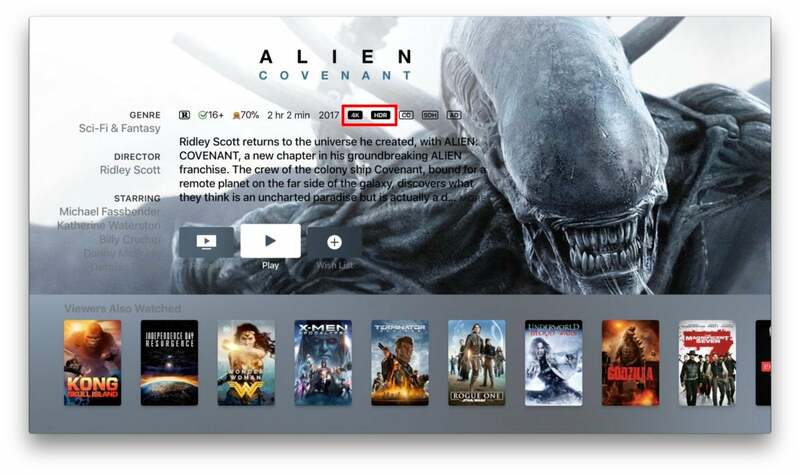 You can’t select which version of a stream you want to play, so for some movies you’ll want to revert to HD. 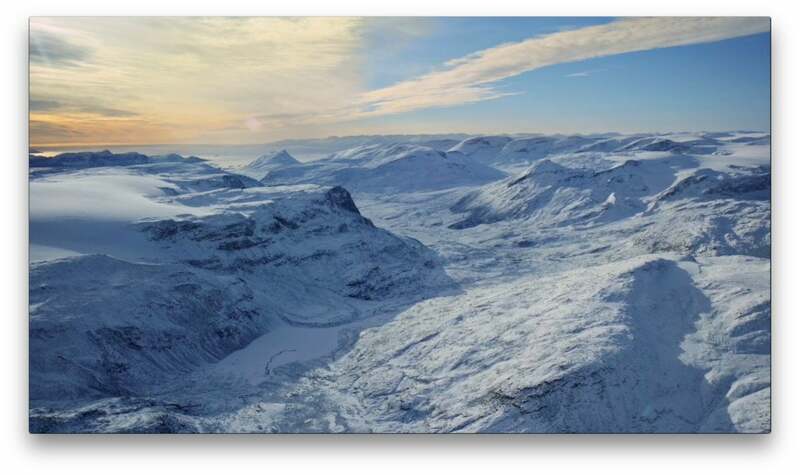 This image doesn't do them justice, but the 4K aerial screenshots are remarkable. One thing that’s consistently stellar on the 4K Apple TV are the aerial screensavers. There aren’t any new ones, but it’s like you’re looking at them for the first time. Every video has been updated and optimized for 4K, and quite honestly, they might be reason enough to plunk down $179 on a new box. Seriously, they’re that good. 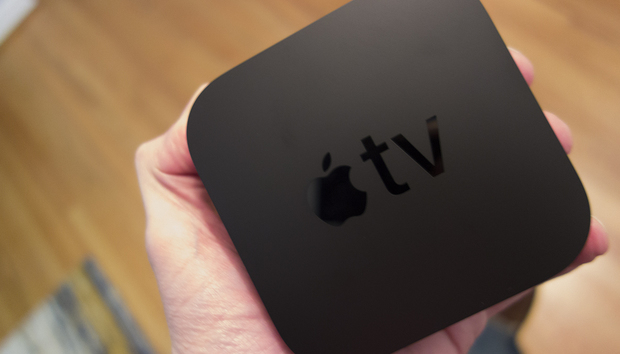 Above all, Apple’s main Apple TV advantage is tvOS. 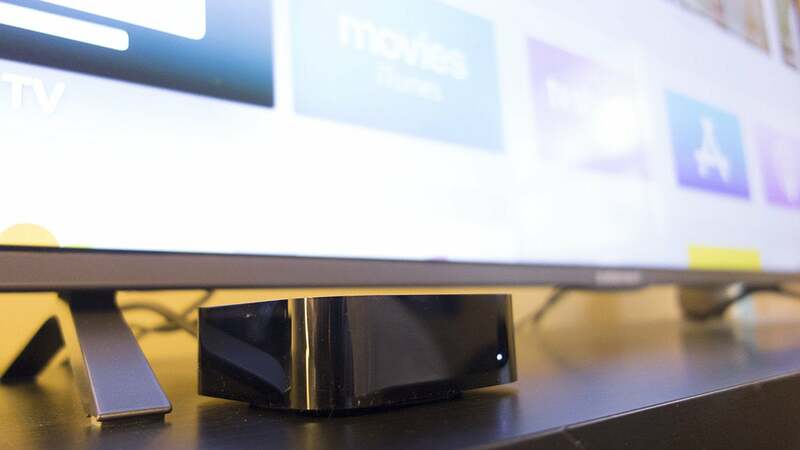 The interface is leaps and bounds above Roku’s and Amazon’s, and far superior to Chromecast’s beam-and-stream method. Even with the Siri remote, it’s a joy to use. tvOS 11 doesn't bring many changes, but there are some good new features. tvOS 11 doesn’t bring too many changes to Apple TV 4K, but there are a couple of notable improvements. My favorite is Home Screen Sync, which uses your iCloud account to keep your apps in order across your various Apple TVs. This is a feature that seems tailor-made for Apple TV 4K, since most people will be shuffling older models off to older TVs (at least that’s the case in my house). Apple has also made it easier to connect AirPods. Apple’s wireless earbuds will automatically show as a speaker when in Bluetooth range, bringing the one-tap pairing from iOS to tvOS. tvOS 11 also brings AirPlay 2 support, which lets you stream audio to multiple rooms and speakers, but the feature isn’t available yet. Neither are the new live news and sports tab for the TV app. Apple TV 4K is awfully close to being an iTunes fan’s dream cutting-edge home theater streamer, but it’s missing one key component. Apple TV 4K supports the same Dolby Digital Plus 7.1 surround sound as the non-4K Apple TV, which means it won’t sound quite as good as some of its peers. That’s because it doesn’t support Dolby Atmos, the latest in 3D sound tech. Granted, you’ll need a system that supports it and the vast majority of listeners won’t be able to tell the difference even if they do, but if you’re spending $179 on a 4K streaming box, you’d expect it to check off every box. Apple told The Verge that it will be adding support in a future update, but that doesn’t make it any less of an unfortunate limitation, especially since Roku’s Streaming Stick Plus and Amazon’s Fire TV with 4K Ultra HD both support it. Siri on Apple TV will show you 4K content, but it won't let you know which ones are in your library. Siri is also something of a disappointment. It's not all that much smarter than it was before. For example, if you ask to see 4K movies in your iTunes library, it will take you to the Movies app but won't suggest any titles. And while you can use your Echo to control Fire TV or your Google Home to send videos to Chromecast, Siri is still mostly a navigation tool on Apple TV 4K, accessible via the bundled remote or the iOS app. It’s possible that HomePod changes that when it arrives in December, but Apple hasn’t tipped us off to that level of functionality. It would be nice to say, “Hey Siri, put on the Warriors game,” some day, but that may have to wait until the next revision. Do I have a 4K television? Do I have a large iTunes collection? If your answers are yes, yes, no, then Apple TV 4K is just right for your living room. The lack of Atmos support out of the box will surely be an initial deal-breaker for higher-end audiophiles, but for most people it shouldn’t matter. And there’s also the price hurdle, but at least it doesn’t cost any more than the previous Apple TV, despite the addition of 4K support. Apple TV 4K will look great under your giant 4K television. 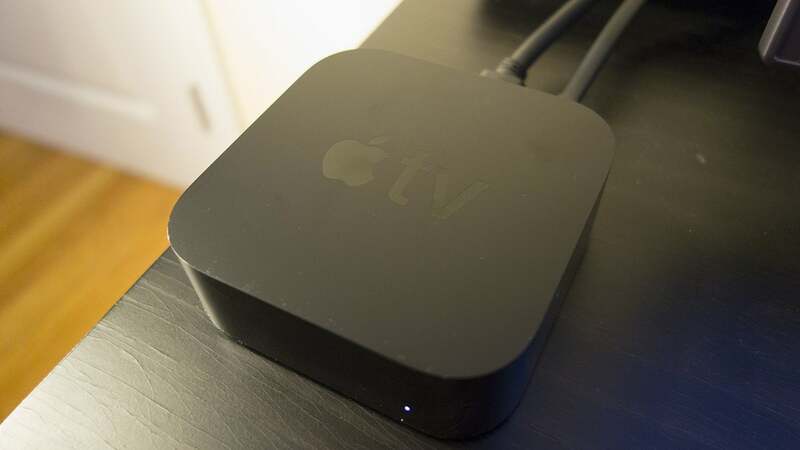 There may be other digital media players that can match Apple TV 4K can when it comes to picture quality and even beat it with sound, but none of them can rival the experience it delivers. From the ease of setup to the interface, Apple TV offers an unrivaled system that never needs an ounce of troubleshooting or a restart. Even if you just use it to look at screensavers all day.